WikiLeaks founder Julian Assange speaks on the balcony of the Ecuadorean Embassy in London on Feb. 5. "You're able to take into account your perspective because your perspective is the same, it doesn't change ... and the world does change." That's what WikiLeaks founder Julian Assange told NPR's Morning Edition about his life in long-term confinement. "For example, let's say you're watching the boats in the river but you're sailing at the same time — it's hard to understand how much they're moving versus your moving." Assange's reflective take on the three-plus years he has lived at the Ecuadorian Embassy in London comes a week and a half after a U.N. panel ruled that he was being "arbitrarily detained" and should be released. The saga, as we've reported, began in 2010, when Assange was arrested in Britain on a Swedish warrant over sexual-assault accusations. He was held in isolation for 10 days and then placed under house arrest for more than a year before seeking asylum at the embassy in 2012, where he has remained to avoid being arrested. He is also wanted in the U.S. over WikiLeaks' publication of classified military and diplomatic documents, one of the largest leaks of such information in history. 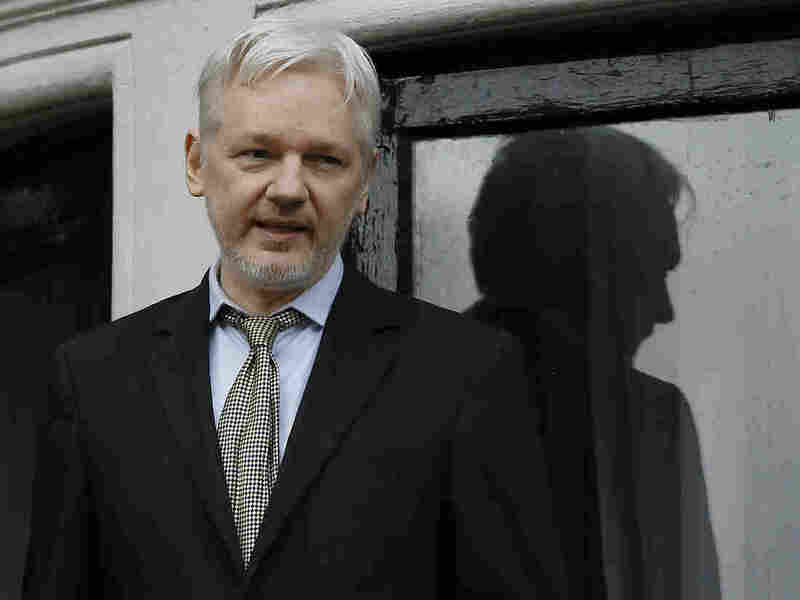 The U.K. is formally contesting the U.N. opinion and maintains that it will arrest the WikiLeaks founder should he leave the embassy. When the decision was announced, Assange called it a "vindication" and said, "There is no ability to appeal the decision of the United Nations," calling his status "settled law." But so far, he is still holed up inside the embassy. In the interview with NPR, Assange had this to say when asked about what he missed most from the outside world: "Well, I often get this question and I've decided my response is nothing at all, except for my children and mother. Because there is an attempt here to create a general deterrent in relation to publishing, and that's not an attempt that should be committed." He added that he is being detained even though he has never been charged or questioned, and that his persecution is a threat to journalism worldwide. During the interview, Assange focused mainly on his legal case, but he did reveal that he took steps to prepare himself for a long confinement: "When I became confined here, of course I looked up — I found some quite interesting books produced by Californian solitary confinement prisoners into what sort of psychological and exercise routines they used to try to get them through." He said his daily life is not so exciting but that his work keeps him busy. "Being editor of WikiLeaks was always a pretty difficult job," he said. "And then to do it in an embassy, which is under very intense surveillance and a covert operation — which the U.K. government publicly admits that they have spent more than $20 million in the past three years on a covert operation against me in this embassy. So it's a very compelling situation to be in, even though physically it's quite isolated." Despite his isolation, Assange said he wouldn't consider giving up his position at the helm of WikiLeaks, saying that such a move would be capitulating to what he called a "general deterrent." "I'm not going to commit that general deterrent to have effect by, for example, knocking off editors, in this case the editor, which is me," Assange said.